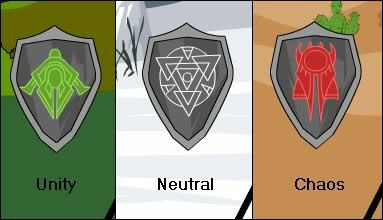 Your alignment ranges somewhere between chaotic and ordered, good and evil.This shield grants you special defense based on how much you favor chaos or unity. Image from .*..*..*.. Stats from .*..*..*. and Cold_Heat. Typo correction from RusseyFooly. Effect from flyingkidjoe, ShadowWrath, Kalanyr (via silaren), Nex del Vida, and other people. Confirmation "It's close enough to post" from Reyn Roadstorm. ±8 alignment from ShadowXXX.